Both of my girls adore EtchArt. It’s one of those brilliant activities which you can whip out wherever you are — in a restaurant, in the car, travelling on a plane or simply being mindful at home. So I was thrilled when I saw the fun activity being transformed into a beautiful set of children’s books. 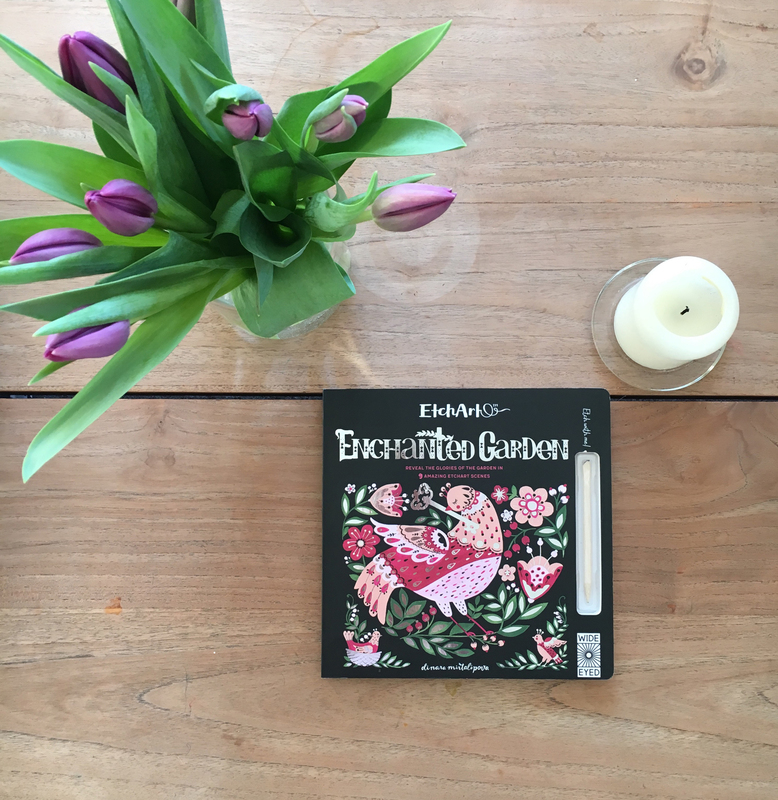 A new series of Etch Art books recently published by Wide Eyed Edition reveal the prettiest, detailed illustrations together with an attached stylus which opens up the magical world of EtchArt. Florence chose the Enchanted Garden and Helena has opted for Forgotten Jungle and they have been the perfect travelling accompaniment and on those hectic busy Christmas days the girls have sat quietly together mindfully etching away. The series of folk-art inspired books come in four titles and we are super keen to complete our collection with the Secret Sea and the Hidden Forest. All illustrated by the talented Dinara Mirtalipova who, raised in the Soviet Uzbek, found Russian folklore a true influence to her art work. Writers Amanda Wood, who began her career at the Natural History Museum and Mike Jolly who is an Art Director in children’s books have come together to write charming descriptions of each animal, tree, fruit or vegetable found in the enchanted garden as well as the orchards and animals found in the jungle. 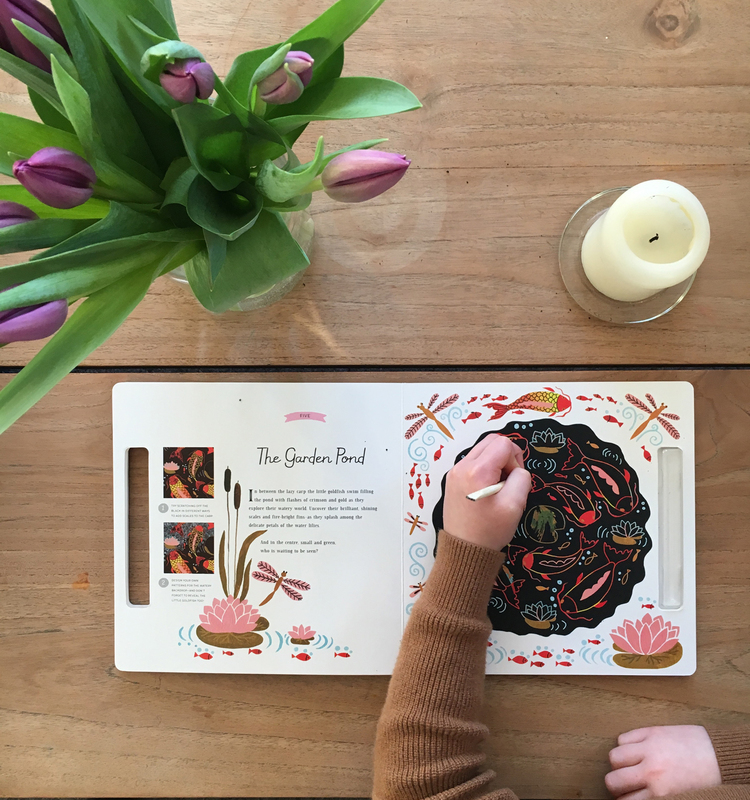 These books are really a great investment for children from age 6 and above and can be purchased online in the US and in the UK from Wide Eyed Editions. The reviews on Amazon weren’t very good, it seems people had problems with not being able to scratch without damaging the picture. Did you encounter any issues with these books? I love the illustrations and they would make lovely gifts, but I wouldn’t want to give anything defective. Thank you for all your book suggestions to date! Hi Steph, Yes I noticed they weren’t too positive but I must be honest and say we’ve been really happy with the two books we have. The girls haven’t encountered any issues with the pictures.